Microsoft India has been a Cultural Detective customer for six years, and both Heather Robinson and I are so very proud of the abilities their staff members have developed to in turn coach and develop their support engineers’ customer service skills. The entire project has been amazing—truly a privilege to be a part of it! I’d like to take this opportunity to share a bit of their “Cultural Effective” story with you. Microsoft uses Cultural Detective to coach their large enterprise customer support representatives. In the first six months using the tool, they told us they attributed a 30% increase in customer satisfaction to Cultural Detective! Now, five years later, they know Cultural Detective inside and out, and use the CD Method when interacting with both international and domestic customers. In March of this year Heather again traveled to Bangalore to work with the trainers, to help improve their abilities to coach using Cultural Detective. The approach she used is what we call EPIC: Essential Practice for Intercultural Competence. It is a combination of Cultural Detective, with which Microsoft has been working for five years, and Personal Leadership, which their staff have been working with for the past year or so. The design was an inspired one. Because Microsoft has experienced facilitators who are also well-versed in Cultural Detective, Heather used these facilitators to get team newcomers up to speed, as well as to facilitate small group breakout sessions. This internal group of facilitators put together the readings, sample interviews and assignments for the three-day training. As is so wonderful when training in India, there were plenty of games, activities and laughter. As you might imagine, one of the main challenges for the support engineers is knowing how to respond to customers’ emotions. Large enterprises rely on Microsoft products to function in highly customized ways, which often means long days of problem-solving discussions, heightened emotions and frayed nerves. The March training included the learners acting out skits of engineer-customer interactions, videotaping them, and then using the Cultural Detective Worksheet to debrief the contrasting values, and the EPIC approach to discern how to respond most appropriately. We would love to share one or two of those videos with you here, but, of course, they are proprietary. Instead, let me leave you with a few of the notes scribed in small groups. In case you’re wondering why “Kit Kats” and “Milky Ways,” the participants chose a candy bar and then broke into groups, one of ten techniques you can find in this blog post. If you or your organization would like to be profiled in an upcoming blog post, we would be happy to talk with you about making that happen. Just let us know. Congratulations to all the Microsoft staff, who are so committed to building intercultural competence in their organization, and to you, the Cultural Detective community, for your efforts on this same journey. Many thanks to Cultural Detective author George Simons and his colleague Wiebke Döscher, who have put together a small diversophy game about holiday food habits across cultures and traditions, and offered it free to their colleagues to play as we slip into the New Year. Developmental Model of Intercultural Sensitivity ©Dr. Milton J. Bennett, 1986 & 1993. Let me start by telling you about the DMIS. First published by Dr. Milton Bennett in the International Journal of Intercultural Relations in 1986, and more fully developed in Education for the Intercultural Experience in 1993, the DMIS has proven to be a key milestone in the intercultural field. It provides a roadmap for those of us who aim to develop intercultural competence. A developmental model is a conceptual framework that helps us better understand a progressive process, as well as providing guides for continued development. Examples of a developmental model with which most parents are familiar are those charts that track the major milestones of an infant’s growth. Such models help us anticipate when our baby will smile, sit up, crawl, or distinguish right from wrong, and they can help us ready our children for their next big challenge. There are abilities our baby generally must develop (e.g., roll over) before being ready to accomplish tasks at a higher stage of development (e.g., crawl). At each stage, the baby needs to be appropriately encouraged, while also feeling safe enough to take the risk to try something new. Similarly, the DMIS is a conceptual model of six stages of the development of intercultural sensitivity, from ethnocentrism to ethno-relativism. The IDI, or Intercultural Development Inventory, is a psychometric instrument that assesses one’s stage of development. Its origins are based in the DMIS, though it uses a slightly modified version of the model today, called the IDC (Intercultural Development Continuum). The DMIS and the IDI enable us to track where we are in the development of our intercultural sensitivity, and ready ourselves for enhanced sensitivity or effectiveness. The beauty our clients have found in the Cultural Detective Method is that it challenges and supports, stretches and comforts, learners at each stage of their development of intercultural sensitivity. While the DMIS and IDI indicate where one is on the developmental continuum, Cultural Detective assists in the learning and development of the skills needed to succeed in cross-cultural interactions. The process works organically. The designer must make the case for diversity and inclusion in developmentally appropriate ways, and debrief learning in ways that comfort and challenge the learners. However, the Cultural Detective (CD) Method itself need not vary, no matter the developmental stage. Learners, depending on their abilities, will naturally use the CD Method differently at different levels of development. Learners in ethnocentric stages of development will easily and fairly quickly solve a Cultural Detective mystery—they will be eager to complete the Worksheet, solve the problem, give the participants in the critical incident advice on what they should have done differently. Facilitators will observe, however, that learners at earlier development stages will suggest Cultural Bridges that are naïve or unrealistic, though of course possible. They might suggest, for example, that “the Japanese person just needs to speak up more assertively,” or “the Mexican manager needs to be more considerate of others and trust that his and his company’s welfare will be looked after.” Both of these recommendations are within the realm of possibility, both are achievable by Japanese and Mexicans of certain personality types or personal discipline, but such Bridges are not realistic for the majority of people from those cultures. Learners in ethnocentric stages feel good that they are able to solve the problem, which encourages them to try another and, with practice, learn what really works and what doesn’t when teaming across cultures. When completing that same Cultural Detective Worksheet, learners in ethno-relative stages of development will enjoy pairing Values, Beliefs and Cultural Sense with the Words and Actions they motivate. They will invest effort into discerning the commonalties, as well as the differences, between the participants in the critical incident. They will develop ways to build on shared interests, while also leveraging diverse opinions and abilities, so that all players more fully contribute and the organization or community benefits. They will, without prompting, compare themselves, their values and beliefs, to the players in the incident—constantly learning, discovering, and refining their self-understanding. They will, in an organic way, explore and cultivate their cultural (or multicultural) identities, their understanding of and empathy for others, and their abilities to collaborate across cultures. Thus, in a very natural way, learners at all stages of development receive the support as well as the challenge they need to continue their developmental journey towards intercultural sensitivity. There is very little stress on the facilitator to adapt the CD Method for the learner’s level of development, freeing the facilitator to focus effort on answering questions and dealing with resistance in ways that are both appropriately challenging and supportive to the learner. And such a flexible process can be a blessing when we work with groups from mixed developmental levels. I often compare the Cultural Detective Method to the Montessori approach, because learners at all developmental levels can gain from helping one another. So, How Do Customers Do It? How Do They Successfully Build Competence? 1. Research shows the development of intercultural competence requires ongoing, structured learning. That is precisely what a subscription to Cultural Detective Online (CDO) provides. So, first, get a subscription. If you want to build competence in your team or organization, if you are an experienced interculturalist, or if you are new to the Diversity and Inclusion space, a CDO subscription is a small investment with huge potential. The subscription agreement allows you to project CDO contents onto a screen for group viewing in any work you personally deliver, as long as you explain to your learners that Cultural Detective Online is a tool that anyone can subscribe to. Our goal is to get these materials used! 2. USE the system, regularly. Cultural Detective Online isn’t an entertainment system; it isn’t passive; it won’t give you intercultural competence through osmosis or by using magic dust. (That’ll be version 2! Just kidding.) Log onto the system once a week, and spend 20-30 minutes debriefing a critical incident, and using Values Lenses to supplement what you see. Respond to the prompts asking you what you’ve learned. Review your notes. 3. After a few weeks using your subscription, once you feel comfortable and competent with the Cultural Detective Worksheet, upload your own incident. Choose something from your real life: perhaps an interaction with a family member, friend, or colleague that puzzled you. Once you write the brief story, link the participants in your incident (yourself and others) to the Values Lenses in the Cultural Detective Online system. Think about why you behaved the way you did, and reflect on the influence that national, gender, generational, and spiritual values had on your behavior. Think about these same influences on the other people in your incident. 4. Then, you can discuss the incident with the real people involved in the situation. Having worked through a CD Worksheet, you will be able to move beyond judgment in your discussion. You will have already thought through the possible positive intentions of the other person, so your dialogue will proceed constructively. You both can learn, and collectively develop strategies to collaborate, or cohabitate, more enjoyably. 5. If you are a team lead or an organizational facilitator, gather your learners together regularly (monthly, quarterly), to discuss what skills they are acquiring using the CD Online system, questions they have, and the challenges they’re experiencing in developing intercultural competence. 6. Remember, Cultural Detective need not stand alone; supplement the tool with your favorite activities: simulations, exercises, videos, role-plays, etc. The core Cultural Detective Method dovetails smoothly with just about any other intercultural tool or technique, because it is a process. 7. If you want to track your progress, be sure to use the IDI to get baseline measurements of participants in your group. I’d then recommend participants take the IDI again, after three months of structured learning using CDO. You will be amazed by the results! 8. Cultural Detective Online is a tool. It doesn’t replace skilled facilitation; it supplements and extends it. You may already use the MBTI, the IDI, dimensions models, etc., in the training or coaching you do. Add CD Online to your repertoire and you will be delighted at how it transforms what you are able to achieve with your learners. 9. Be sure to share your Cultural Effective success story with us, and get your organization some positive kudos! A few years ago, two very experienced and well-regarded intercultural facilitators, Heather Robinson and Laura Bathurst, wrote an article explaining what I’m talking about. I am also happy to share with you one of the handouts I prepared for a session at a recent IDI Conference (be sure to scroll down to view all three pages). This handout is a table showing the needs for challenge and support at each stage of development, and explicates the ways in which the Cultural Detective Method meets those needs. You are most welcome to download and print this handout. Note that in the handout you will find the five stages of development that are currently used by the IDI (slightly different than those of the DMIS, above). Please let us know how you have used Cultural Detective in your teaching and training to facilitate your learners’ intercultural development. I would also like to invite any researchers or graduate students who are interested in conducting research on this important topic to contact us. 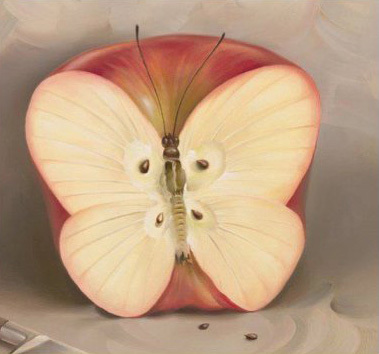 What we learn has to “fit” with what we know. It has to be appropriate for where we live and work. Part of learning is to apply the new to the old, integrating the two. A client called us, saying they had hired a young woman with an MS in Intercultural Communication to design courseware for them. The objective of the courseware is to improve participants’ job performance, in this case, to make them more effective and efficient at servicing international customers. In reviewing the courseware, I found that it in many ways it was very savvy, but appeared to have been taken nearly verbatim from the woman’s graduate studies. The exercises and activities were designed for master’s students in intercultural communication, and had not been adapted for customer service representatives! We heard from another client recently that had invested three years developing a curriculum to improve the intercultural competence of their global staff. A diverse group of their international employees attended professional development classes in intercultural communication, and an elite group at head office developed a standardized curriculum to be used worldwide. One of the main objectives of this effort is to be able to better resolve conflicts and misunderstandings more effectively. So what’s the problem? Everyone loves the new curriculum. However, they leave the program feeling no better equipped to resolve conflicts. They love the tools they’ve learned, they enjoy the trainers, but they don’t know how to use the new tools and skills in a real situation! What do these two scenarios have in common? In both cases, the training designer was replicating a graduate-level education course—designed for professionals—and repurpose it, as-is, for skill building. And that just doesn’t work! I’ve seen it far too often in recent years, and it’s a distinction we really need to make. Doctors graduate to practice medicine and to help their patients learn healthy lifestyles; they do not generally teach patients how to be doctors. Professionals need skills they can use on the job, and that includes cross-cultural skills. But those skills must be taught in context, via application and practice in simulated and, eventually, real situations. In the first case, Cultural Detective was added into the client’s existing customer service training. Leveraging pre-existing company-specific case studies and audio-visual scenarios, we used the Cultural Detective Worksheet and Values Lenses to supplement the debriefing. In this way, the need for intercultural skills became more evident and was linked to job success for the customer support engineers. In addition, all practice of cross-cultural skills was integrated with the practice of vital job skills. We retained many of the exercises and activities included in the original, separate cross-cultural curriculum. However, we wove them into the customer service training to supplement, amplify, and deepen learning using the Cultural Detective Method. Once cross-cultural skills were grounded in the business at hand—the purposes of the employees’ work (customer service)—they made all the difference in the world. This client reported to us a 30% increase in customer satisfaction that they directly attribute to Cultural Detective. The second case is still in process. I very much admire the quality of the curriculum and the incredible coordination it has taken to get so many trainers in such diverse locations “up to speed” with the material. Yet, they are starting to realize that although the training has been well-received, staff is not able to use what they have learned once they are back on the job. Yet with so much investment, they don’t want to completely redesign. And they don’t want to be dependent on outside material. I advised them to weave into their curriculum a simulated conflict scenario, one that could be worked on and revisited throughout the training. In this way they do not need to completely redo their superb design, and the training they have already provided will still be useful. The difference? The revised curriculum is grounded in their reality and will allow staff to practice cross-cultural skills in simulated situations. That way, when they return to work, they will know when and how to apply the cross-cultural skills and tools they have learned. Let’s look at a typical training curriculum, and then look at how easy it is to weave Cultural Detective into the existing design. Let’s say on Day One they teach what is culture (Iceberg, observable behavior linked to underlying values) and D.I.E. (learn to Describe before we Interpret and then only with culturally appropriate information, to Evaluate). On Day Two, they teach intention/perception and cross-cultural adjustment (culture shock). Instead, they might start Day One by introducing a case study involving an everyday challenge. Having introduced the context, trainers facilitate learning as planned in the original curriculum (Iceberg and D.I.E.—Description, Interpretation, Evaluation). After doing so, however, they return to the case study, the professional context, and explore: how do values apply to this case study? What are the Evaluations that I am making, based on what Descriptions? From there, it’s a very easy introduction to the Cultural Detective Method, which this client has already licensed and, therefore, is welcome to use. On Day Two, intention/perception can be taught as part of the debrief of the Cultural Detective Worksheet for the case study. And, the same case study can be used to ground teaching around culturally-appropriate service or cultural adaptation. From there, as they facilitate the remainder of the designed curriculum, they can provide staff the opportunity to speak with the individuals in the case study, in a simulated environment, and to use CD Values Lenses and the CD Worksheet to help them better understand their own values and worldviews. Finally, staff can use the CD Worksheet Method to facilitate a resolution to the case study—harnessing the advantages of diversity rather than navigating around or ignoring them. If you’ve licensed the CD Method, you know how versatile it is. But what you may not realize is that Cultural Detective doesn’t need to replace other methods. Often, if you put Cultural Detective at the core of what you are already doing, you’ll find the rest supplements it quite naturally. Always remember, adults tend to learn best in context; they want to know why something is important to know or do. If adults learn to use and apply intercultural tools in situations that replicate real life, they’ll be much more likely to employ them when the need arises. Last week a new brochure, this week a new introductory presentation! Thank you all for the incredible work you do with this process and these materials, to build cross-cultural respect, teamwork, productivity and equity!!!! Use it, pass it around, and do the good work! Thank you, everyone! I once heard a Zen Buddhist monk say that the definition of suffering is the gap between what is and what we think should be. The wider that gap, the more we experience stress. Today’s global virtual team, without the right tools, might end up spending a lot of time in that gap. Most teams want to becoming high-performing units with all individuals feeling valued, all cultures being respected, and all tasks getting completed on time. The reality can look quite different, however. In today’s taxing environment, many teams find themselves reacting to fires, completing their tasks but without the benefit of time for intentional reflection or action. As an intercultural practitioner I’ve had the privilege of working with a variety of global teams in industries from manufacturing to finance. Many of them display similar characteristics. They are often comprised of talented individuals who appreciate cultural diversity and want to collaborate effectively. But why do few teams achieve that vision? What causes the gap between that desire to collaborate and the reality of division or confusion? So many factors play into the health of a global team, some of which defy explanation — call it chemistry, dynamics, or magic. Some of the factors, however, are more visible. For example, I see many teams become misaligned because they do not have proper communication protocols in place. They make false assumptions about shared understanding of terms or processes which can delay projects. Cultural differences also play a significant role in the effectiveness of global teams. Team members might run into disparate cultural approaches to a project, and rather than observe the problem objectively they immediately begin jumping to conclusions and/or negative evaluations. This premature leap can cause them to chase down incorrect solutions and again delay the project. Also, the team may not take full advantage of the diverse perspectives and resources that the members provide. How do we close this gap between the theory of a collaborative team and the practice of one? First, a global team must realize that intercultural competence is a learned skill, in some ways like welding or computer programming. Cross-cultural skills may be harder to acquire or measure, but they must be studied and practiced. Cultural Detective Online is an incredible tool for global teams to unite around and hone their intercultural proficiency. CD Online makes it possible, for example, for teams represented in fifteen countries to come together in a virtual training room and explore several important aspects of collaboration. First, they learn to separate objective facts from their perceptions of situations. That skill alone can increase team trust dramatically. Then they learn through what lenses their colleagues might be looking, and how those values impact the outcome of a business problem. Imagine eighteen members of a global team, all online and on the phone, working through a CD Online scenario together that illuminates the values of cultures they work with every day. Everyone gets to contribute and they physically practice those vital cross-cultural skills right there in the training. I feel a great sense of excitement about what Cultural Detective Online does to increase the effectiveness of global teams, and not just in theory. Join me and the Cultural Detective team as I walk through a case study of a virtual training designed for a global team using CD Online. This event is free and will take place April 9, 2013. To learn more about this event click here, or to register please click here. Global teams have amazing potential. What tools have you used to get your global team to high-performance? Vicki Flier Hudson, speaker and Chief Collaboration Officer for Highroad Global Services, inspires people to live, work, and build teams across cultures. She has helped countless large-sized corporations establish successful operations between the United States and India or Europe. Vicki is a certified administrator of the Cultural Detective methodology and the Intercultural Development Inventory (IDI). She has been featured on NBC News, and many of her articles have been published in a variety of magazines. Happy One-Year Anniversary of this Blog! Happy Birthday! The Cultural Detective blog is one year old! A year ago, on February 17, 2012, we made a commitment to blog regularly to promote cross-cultural understanding, link theory and practice, encourage best-practice use of tools, share resources and techniques, and raise awareness of the importance of building constructive cross-cultural bridges through communication. That commitment was intimidating — life and work are busy and the blog meant adding another major task. Today, please join us in a bit of celebrating — this is our 128th post — not bad for a busy year and a new undertaking! 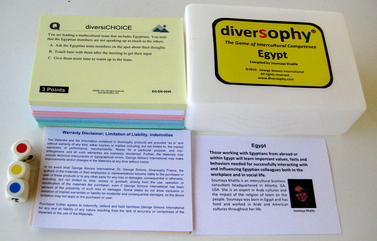 Our quest isn’t for quantity, but rather to share a variety of quality educational materials. Playing on the sound of the Cultural Detective, we started our blog with twin themes: 22 posts related to Cultural Effectives and 11 posts illustrating cross-cultural missteps or Cultural Defectives. We welcome your additions to these posts — we all learn from sharing each other’s experiences! Speaking of sharing, a terrific gift this year was the series of posts by Phuong-Mai Nguyen, as she made a journey to trace the path of Islam from its origins as it spread outward. And, while we began the blog in English, we are happy to also be able to publish some posts bilingually in Vietnamese and Spanish. Over the last year, we reviewed 19 resources, including five books, five training and coaching tools, three movies, two sources for research data, and two assessment tools. 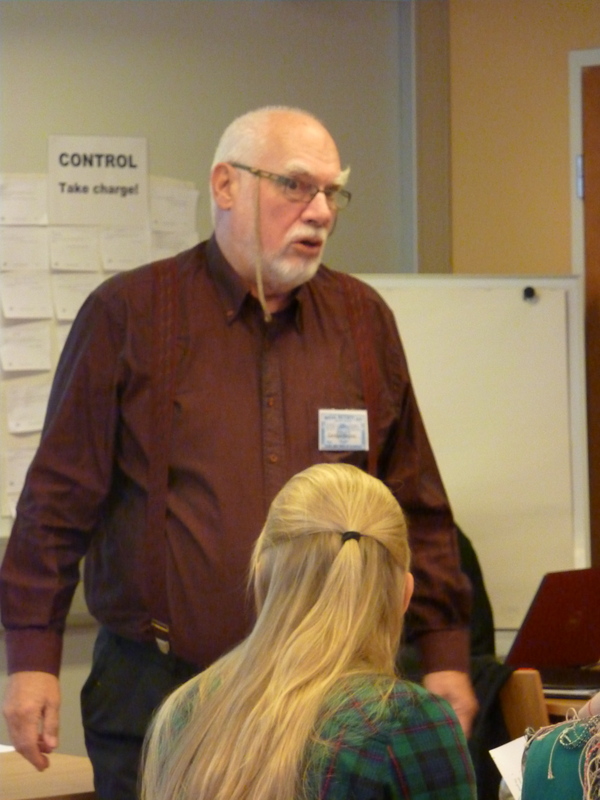 We shared eight exercises/activities, eight free gifts/downloads, six how-tos or tips on using the Cultural Detective Series correctly, and one half-day workshop design. We posted four different research studies and theory reviews, as well as seven pieces of feedback and guidance from customers. What Do You Mean? I Worked Abroad 20 Years and Scored Low?! Of course you, our readers, are central to us. You are the ones doing the important work in our world, teaching, coaching, educating, consulting, training, managing, guiding, bridging, mediating. You are building intercultural competence, respect, understanding, equity and collaboration in your spheres of personal influence. So who are you? You come from 152 countries — that’s only 40 fewer than the number of UN member-countries. There is not a lot of information about blog readers except for where your IP address is registered. You, our followers, truly come from all over the world — though we could use some readers in Greenland and a few other locations, as you can see on the map below. A post explaining how to cull learning from some of those images we find in social media, entitled Can You Read This? Our top five most commented-on posts included one that didn’t make any of the lists above: Diversity Training Doesn’t Work! Obviously a title for some debate and discussion! Many, many thanks to our regular authors Kris Bibler, Phuong Mai Nguyen, Tereza Bottman, Maryori Vivas, and Kate Berardo. Many thanks as well to our guest authors and contributors, including: Joe Lurie, Anna Mindess, Sunita Nichani, Piper McNulty, Barbara Schaetti, Pari Namazie, Thorunn Bjarnadottir and Avrora Moussorlieva, Kevin and Rita Booker, Carmen DeNeve, Ruth Mastron, Tatyana Fertelmeyster, George Simons, and Madhukar Shukla. We could not have built this terrific blog community without all of you who have commented, shared your resources, reposted our posts, and reviewed our posts before they were published. Many thanks! If you have a passion for writing about cross-cultural issues and are interested in joining us here as a guest blogger, please contact me. We would love to be able to provide space for talented people to share their voices! We would also welcome your ideas for stories or resources to review, as well as your feedback. Thank you for accompanying us during this first year of blogging! We trust that you have benefitted from what we have shared, and the thoughts and comments of readers around the world. We look forward to a peaceful and caring 2013! 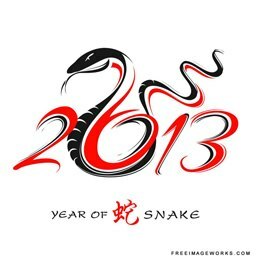 Happy Lunar New Year of the Snake!!! May all our readers and community members find joy, health and success in intercultural collaboration in this new year! We have prepared an interesting cross-cultural card for you, in celebration of Chinese New Year. Please click on this link to view it. Then, let us know which cultures you see blended there. 新年快乐 • 恭喜发财 • 新年如意! Xin Nian Kuai Le • Gong Hei Fard Choy • Xing Ni Ju Yi! Exploring how we value our own and each other’s cultural values–another step in CD sleuthing. All too often we trainers are apportioned a less than useful amount of time for impacting the attitudes of our trainees. This affects our use of Cultural Detective as well as many other tools that we may choose or not choose to use under the pressure of diminished schedules. When using Cultural Detective, I find it ever more important to differentiate what we do with the Values Lenses and the indigenous discourse that lies behind them from a lot of other intercultural training approaches that focus on dimensions and increasingly lead to stereotyping. When we speak about the values in Cultural Detective, it is important to remember that these have been developed through and by the inner language and feelings of the very members of those cultures that the instruments represent. Nonetheless, when speaking of values, it is becoming increasingly common for us to have individual participants who question them, who do not identify with them, or who even dismiss them as stereotypes. Given that the best way of dealing with resistance in a pedagogical context (as well as many other contexts) may be to flow with it and direct its energies, I have developed a few approaches that I feel may help us in these somewhat challenging situations. I’ve described them as they might be used in a teaching or training context, but they may be adapted to individual and team coaching situations as well. First, wherever possible, I use Cultural Detective: Self-Discovery, or at least an exercise or two from it, so that participants can at least claim some inheritance of cultural values and identify them as their own. This legitimizes the discussion of culture where it might be resisted. It usually overcomes or at least mitigates the participant’s temptation to see him or herself as acultural and the tendency to vaunt oneself as a global citizen, uncontaminated by inherited culture. This is not to deny, but to affirm the fact that TCKs and others like them may be digesting a smorgasbord of cultural influences as well as generating certain cultural features pertinent to their common experiences (explored in Cultural Detective: Blended Culture and CD Generational Harmony). Often elements of cultural identity are denied because they have caused pain in growing up and finding social inclusion. Once culture is legitimated as a topic of discussion and a relevant problematic for the individual being coached or the group being trained, other things become possible. Here are some approaches that we use when one culture is trying to learn about another specific culture, as for example, when working with teams resulting from mergers and foreign acquisitions and installations. In such cases cultural conflicts and misunderstandings are often the elephant in the room, potentially touchy subjects. While Cultural Detective may be the ideal tool for pursuing understanding on both sides, it is not always a given that participants will spontaneously identify with the values of their own culture as they are presented in the Cultural Detective materials. So, let’s say, for example, that we are dealing with German and US cultures, either in an organizational relationship or collaborative team. Daimler-Chrysler has already demonstrated that even a good bit of upfront diversity work and intercultural instruction may not be adequate to deal with our own deeply rooted values and our perceptions of others unless they are continually identified and addressed. Thus the Cultural Detective process must be mastered and practiced and in many cases facilitation must be applied on an ongoing basis until a functional collaborative culture is established. This can take quite a while. Facing the possibility of denial of difference as well as the possibility of participants rejecting their own or the others’ cultural Values Lens as stereotypical or just plain wrong, here are a few strategies that I’ve found to be successful. Perhaps some of you have already discovered these on your own. If so, I would be interested in hearing your versions. Evaluating the strength of the discourse and the value that sums it up. I ask participants to study their own culture’s Lens and then rate on a scale of 0 to 5, weak to strong, their own sense of how they’ve personally appropriated and express in everyday words and actions each of the values described. Then I ask them to share this with their compatriots as well as with the representatives of the other culture who are participating with them. This is a matter of not only sharing their numerical rating of the values, but talking about how each cultural value expresses itself in their thinking and behavior, as well as what parts of it don’t seem to fit or which they don’t like to identify with. This may or may not resemble or relate to the “Negative Perceptions” found on the Lens itself. Identifying commonalities: Following this discussion, I ask the individuals of each culture to study the other culture’s Lens and to do two things. First, again on a scale of 0 to 5 to assess whether, and if so, the degree to which they identify with each of the cultural values of the other group as found on the lens. Then, secondly, and this is extremely important, to identify and jot down the keywords of their own inner conversation or discourse about the importance they accord to the values they seem to share and the ways in which they may practice each of them. Thirdly, depending on the size of the group, ask them to share their results either individually, or to conduct a discussion within their same culture group and then have the groups report out their results to each other. Here is where the essential value is gained from seeing how people would express their appropriation of elements belonging to the other culture. How do we like to be treated? Given adequate time, here is another very valuable activity that could occur at this point, but might be even better to use after the group has resolved a critical incident or two. Ask each separate culture as a group to meet together to discuss and identify and list both the attitudes and kinds of treatment that they appreciate coming from the other culture, as well as those kinds of speech and behavior that they may find uncomfortable or even damaging to the collaborative and social relationship they are trying to create with each other. The previous activities at various points are likely to lead toward the identification and discussion of stereotypes, giving rise to another possibly useful activity. I have found that frequently trainers and teachers, perhaps out of a misguided sense of political correctness avoid the discussion of specific stereotypes or stereotypical expressions, missing a valuable learning opportunity. What is the truth in them, however small? What do you think brought them about in the first place? What perpetuates them? What insights or cautions do they deliver to us? What is the discourse that we carry about self that makes them true for us when they are about us? What exaggeration do they contain? What is the discourse that makes them noxious, conflictual, etc.? When are they likely to be painful or damaging? What limits do they place on our knowledge and our inquiry about others? So, as I mentioned above these are some of the useful practices that I keep in my tool bag for enhancing the effectiveness of Cultural Detective. It would be good to hear what others of you have developed or ways in which you view similar activities.